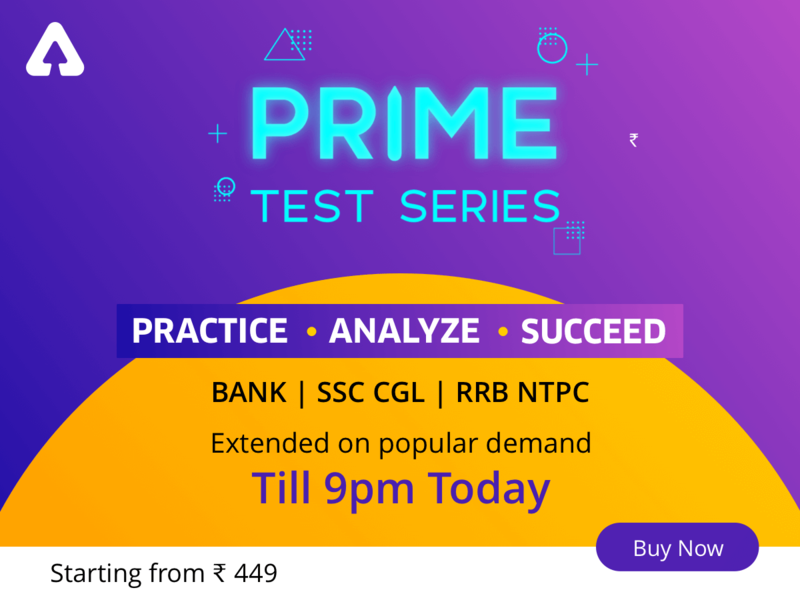 As we know the Railway ALP Exam 2018 was conducted by RRB from 21st to 23rd Jan 2019 with a re-exam on 8th February 2019. 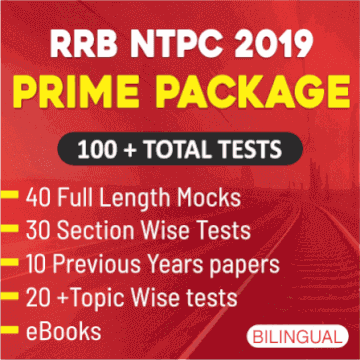 After scrutiny of the objections raised by the candidates from 18th-20th February 2019, the answer keys for all the questions of Part A and Part B were uploaded on the official site of RRB on 23 March 2019. 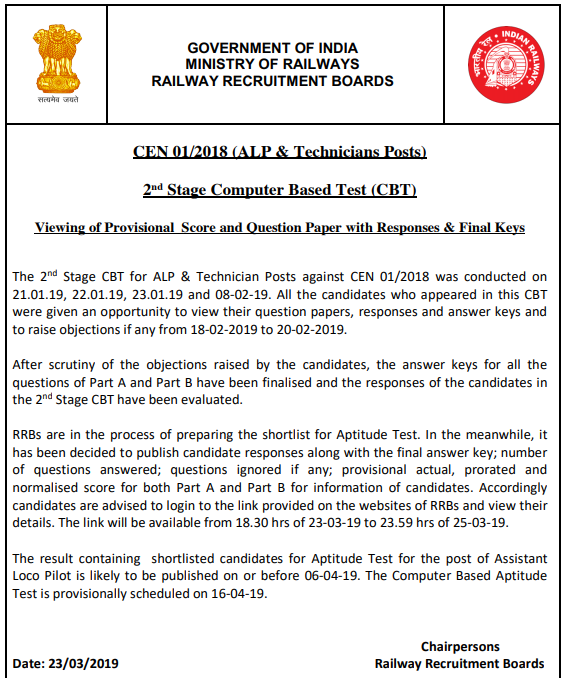 The RRB ALP Final result was also released on 5 April 2019. 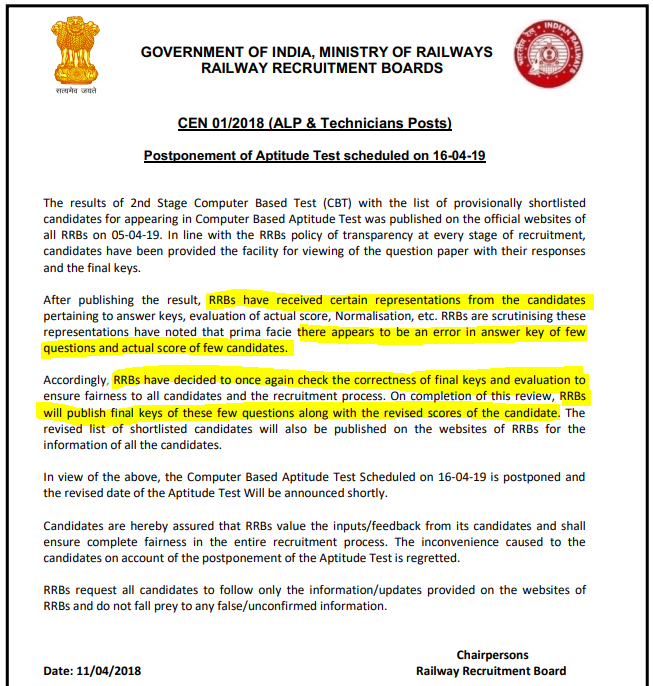 The date for ALP Aptitude test was finalized on 16th April but it has been postponed now.